Now going to Antarctica there are two things that are on the top of anyone’s wish list of things to see, one is Penguins and the other is Icebergs, there are some who get confused and think there are 3, but Polar Bears are found in the Arctic! Now Penguins I will leave to Steph (Walk this Way! ), Icebergs on the other hand are for this blog. Now we have all seen Icebergs on TV and we all know the impact they can have on ships (see Titanic) and some of you reading this have seen them in various places around the world. But what I will say is that nothing really can prepare you for seeing an Iceberg for the first time especially and Tabular Iceberg. Now as some background to Icebergs in Antarctica is that the Ice Sheet each year calves in volume about 2300 cubic kilometers, and it is estimated there are around 300 thousand icebergs in the southern ocean at any one time. Size can vary from a few metres to tens of meters to kilometers. 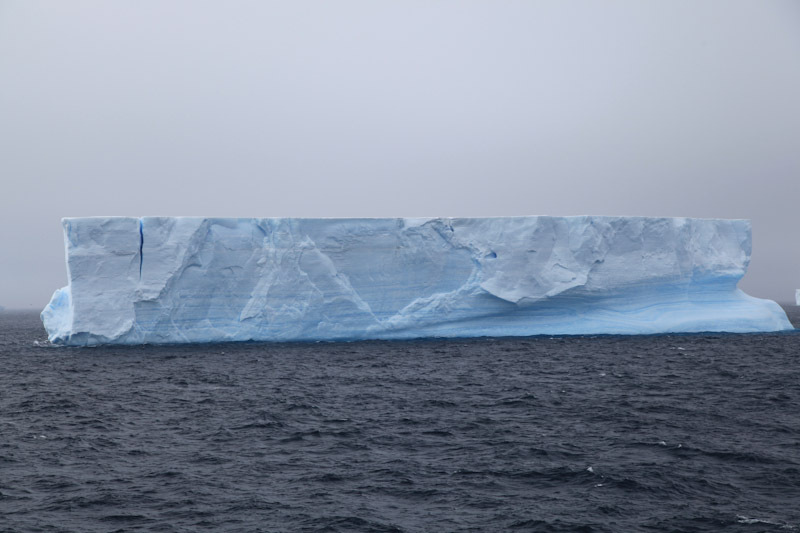 The larger Tabular icebergs are calved from the Ice shelves around the continent, such as Ross, Larson or Amery as an example. These Icebergs are typically 30 to 40 metre’s high above the sea and up to 300 metre’s deep below, such large Icebergs receiving press in recent years have been B15 which was one of the largest Icebergs calved from an Antarctic ice shelf. So as we crossed the Drake Passage and neared the South Shetland Islands, the Captain put out a call for a competition to spot the first Iceberg that was equivalent to or bigger than the ship, The Prize, a Bottle of Top Champagne…..Steph was on the hunt! Sadly for Steph she lost out to the only kid on the ship, an 8 year old called Fletcher. A delightful kid who turned down the opportunity to try his Champagne which his mother happily enjoyed! This particular Iceberg we missed as it was spotted quiet early in the morning. 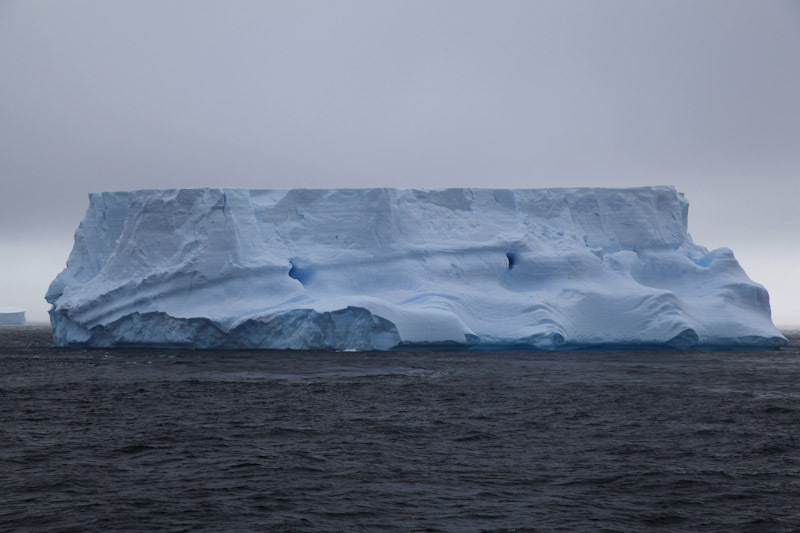 However, later that morning the Captain announced that we had sailed through the South Shetland’s and were about to enter the Antarctic Sound, a stretch of ocean that is also called ‘Iceberg Alley’. He advised to be on deck to view Icebergs so we ran up to the bridge. In the distance, probably a couple of miles out we could see our first Iceberg, as those of you who have seen Icebergs in person will testify, the scale of them is hard to fathom from TV and also in person from a distance, its not until you are upon them the impressive scale is appreciated. What we were treated to for the next hour and a half was an amazing show of tabular Icebergs. It was like driving down the Vegas strip for the first time, head swinging from port to starboard in awe and wonder, gawping at these pantheons of Ice, calved from glaciers around the continent anywhere up to 20 years ago. Form and texture that one could only dream of, that only Mother Nature in her way could create. I can say no more apart from what we had the privilege to see was a breathtaking spectacle of one of Antarctica’s many face’s, I will let some of the photographs speak for themselves.